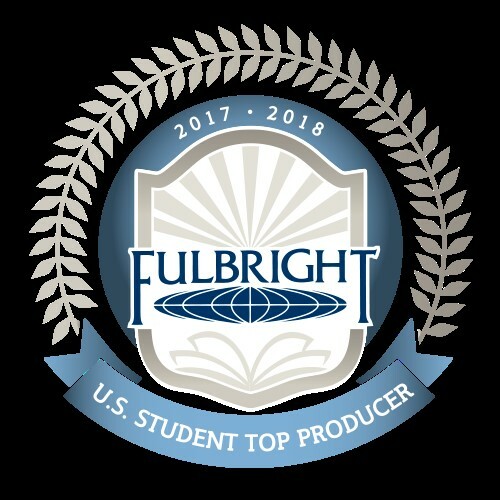 Baruch College has been included on a list of colleges and universities as a Fulbright U.S. Student Top Producing Institution recently announced by the Department of State’s Bureau of Educational and Cultural Affairs. The Fulbright Fellowship Program is the United States government’s flagship international educational exchange program designed to increase mutual understanding between people from the U.S. and other countries. This academic year marks the first time Baruch was recognized for the prestigious U.S. Student program. Previously, the College was honored for the U.S. Scholars Program with four Baruch faculty members honored with Fulbright Awards in 2016. The top-producing institutions are highlighted annually in The Chronicle of Higher Education. Baruch is listed under Master’s institutions on the U.S. Student list, where three Fulbright awards were given to Kristina Sarkissyan (’17), Maneesha Bhugwansing (’14) and Hasin Ishraque (’16). The Fulbright Fellowship Program offers grants for students, scholars, and professionals to undertake international graduate study, advanced research, university teaching, and teaching in elementary and secondary schools worldwide. More than 1,900 students and young professionals across the nation are offered Fulbright Program awards each year. The Fulbright U.S. Student Program operates in over 140 countries throughout the world. Since its inception in 1946, the Fulbright Program has provided more than 380,000 participants—chosen for their academic merit and leadership potential—with the opportunity to exchange ideas and contribute to finding solutions to shared international concerns. The Fulbright competition is administered at Baruch through Valeria Hymas, Deputy Director of the Office of National and Prestigious Fellowships Advising. According to Hymas, an increasing number of Baruch College students are applying to the Fulbright Awards and other opportunities since the opening of the Office of National and Prestigious Fellowships Advising in 2013. These applicants are coming from a wide range of backgrounds and have diverse interests in their fields of study and career goals.